Please note that the HOP ON HOP OFF ticket is valid for 72 hours from validation. The Imperial Ticket is sightseeing at its best! 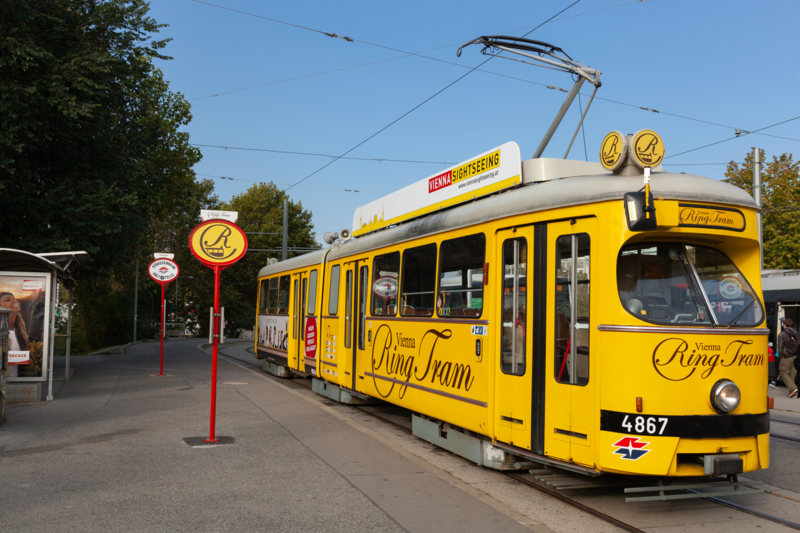 The ticket includes a 72-hour HOP ON HOP OFF tour, a Night Tour of Vienna, and a choice of a ride around Ringstraße with the Ring Tram or a boat tour. 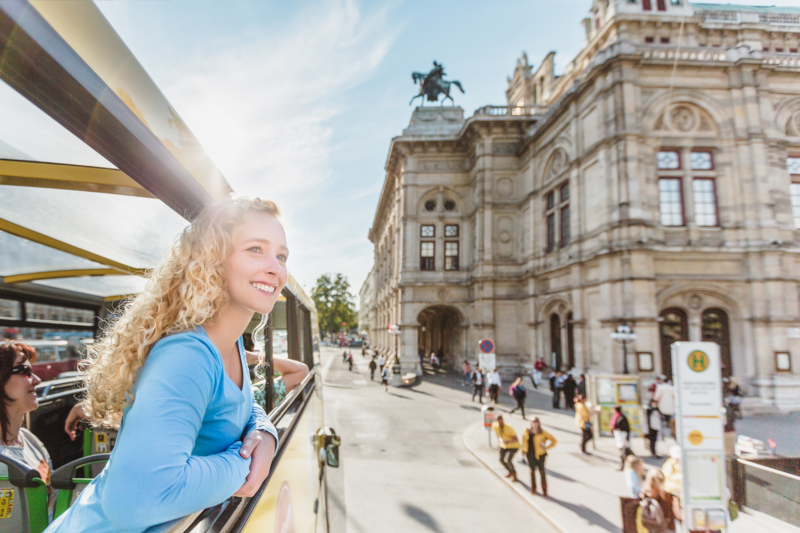 The RED LINE takes you past the magnificent buildings lining Ringstraße boulevard, such as the State Opera, Hofburg Palace, the Kunsthistorisches Museum, Parliament, City Hall and Burgtheater. From there, it continues to Augarten and Schwedenbrücke and returns to the State Opera via Stadtpark and Kursalon. Take this route to get from the State Opera to Schönbrunn Palace. 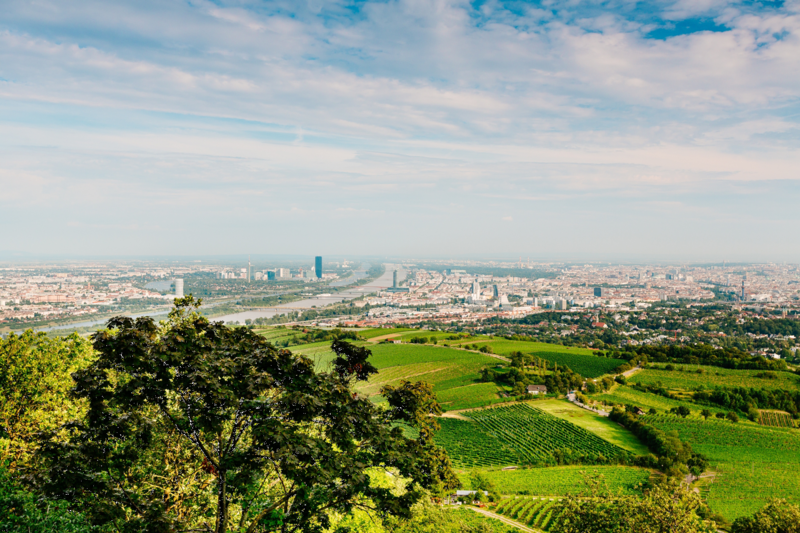 Other sights to discover along the way include the Naschmarkt open-air market, which is famous for its culinary delights and international atmosphere, Vienna Main Station, the Museum of Military History, and Belvedere Palace. The BLUE LINE takes you from the Museum of Applied Arts to Kunsthaus Wien and Hundertwasser Museum. 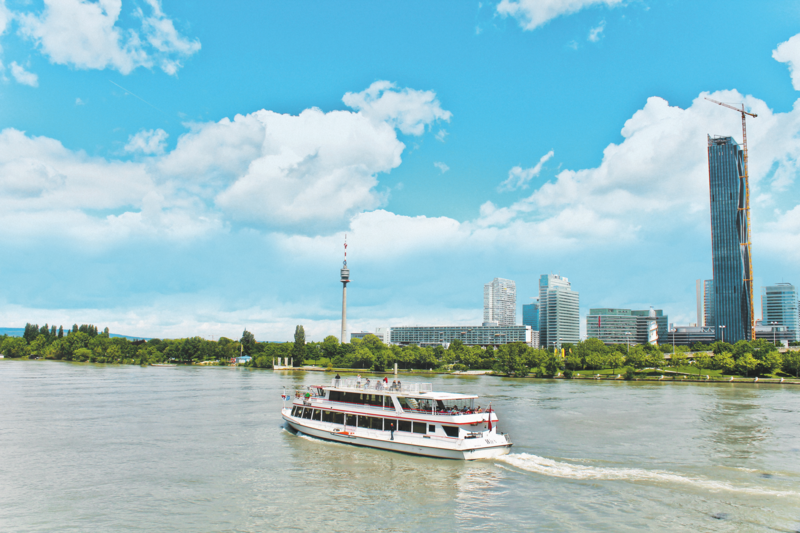 This route also goes to the Prater park and fairground, which is home to one of the city’s most famous landmarks, the Giant Ferris Wheel, and onward to the Danube, where you can see the 150m Danube Tower and the Old Danube. The GREEN LINE will take you from the city centre to Grinzing on the outskirts, famous for its vineyards and Heurigen taverns. Continue on to Kahlenberg for a magnificent view of the city. 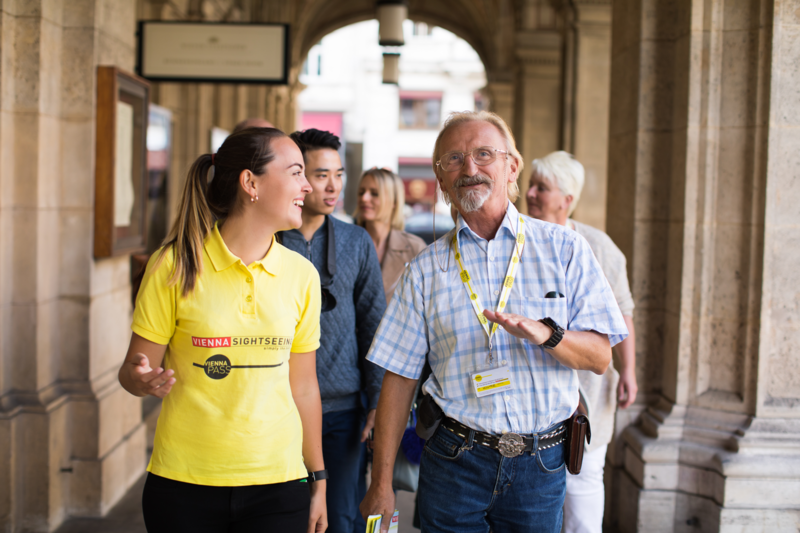 Get to know Vienna’s city centre on a guided city walk. 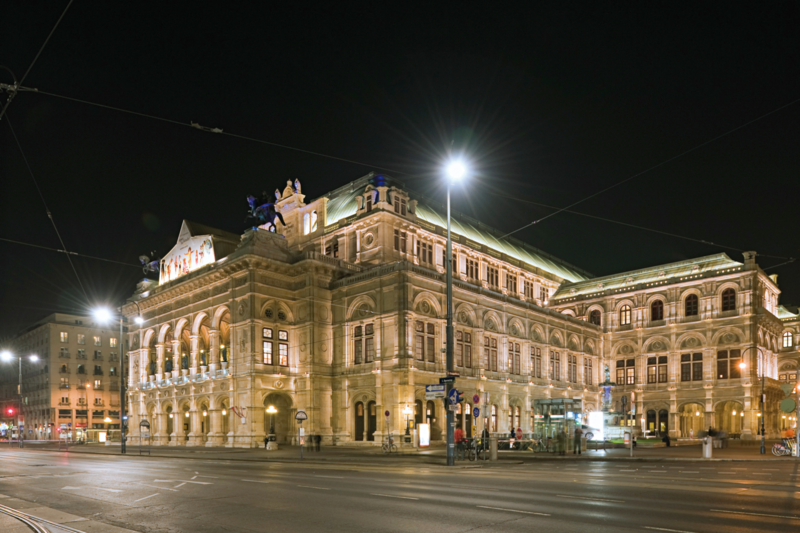 Learn interesting facts about Austria’s capital and see some of the 1st district’s most significant buildings, such as St. Stephen’s Cathedral and the State Opera. 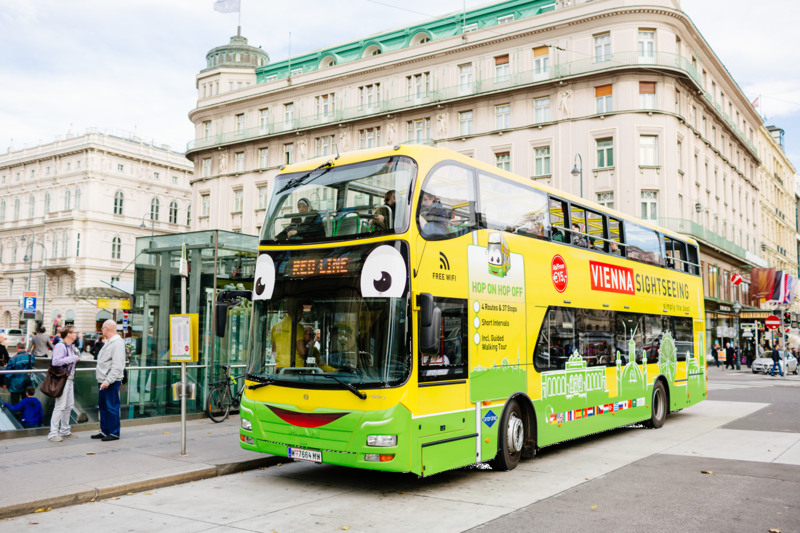 Discover Vienna’s top attractions by night! See the city’s most famous sights lit brightly against the night sky and learn more about them from the audio guide included in the bus tour. Please note that the Night Tour is a panorama tour, not a HOP ON HOP OFF tour.